Mumbai, India: The Renault-Nissan Alliance has stepped forward to assist people affected by the unprecedented rains and floods in Chennai and surrounding areas. 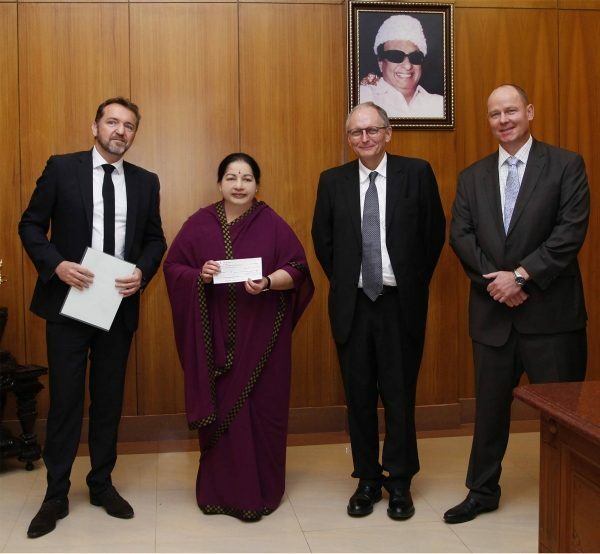 As an immediate gesture, the Renault-Nissan Alliance donated One Crore to the Tamil Nadu Chief Minister’s Public Relief fund for relief and rehabilitation efforts due to the Chennai flooding. The Alliance entities are also working with various local NGOs to provide disaster relief as well as allocate funds raised through spontaneous employee contributions. This contribution is meant to complement the efforts of the state government in providing relief to victims of the flood and resettling them as soon as possible. Separately, the company has already donated a sum of INR 500,000 to the office of the Joint Director of Industrial Health and Safety, State of Tamil Nadu and to the local Lions Club. The donation has helped in procuring relief material in Tambram and Kancheepuram districts, which are closest to the Renault-Nissan Alliance factory. In addition, the Renault Nissan Alliance set up separate Employee Relief Fund to provide assistance to employees who have suffered losses. Donates One Crore to Tamil Nadu Chief Minister’s Public Relief fund. Augments relief efforts through NGOs to rebuild houses and distribute disaster relief kits. Sets a dedicated Employee Relief Fund.